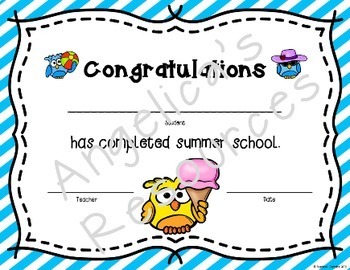 Your students have accomplished so much this summer. 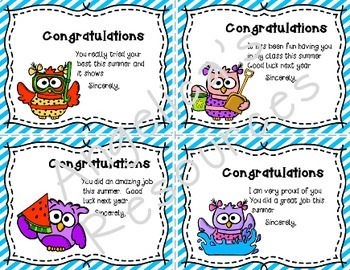 It’s time to present them with these exciting certificates of completion. You really tried your best this summer and it shows. You did an amazing job this summer. It has been fun having you in my class this summer. You did a great job this summer. 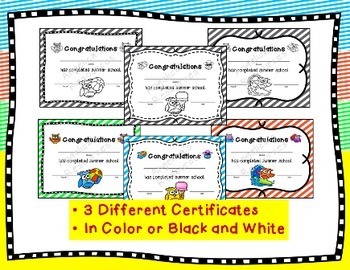 These unique and fun certificates and notecards are guaranteed to become part of a parent’s scrapbook or memory box for years to come. This resource is also available with an Pineapple Theme...Check it out below! 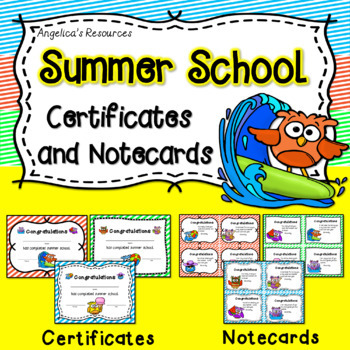 key words: end of year, summer school, certificates, promotion, award, teacher note.